Where does HWH get their horses? Can I give my horse to HWH? I know of a horse that needs help; how can I get that horse rescued? What are the visiting hours at HWH? Can I come for a tour? What does HWH do with the adoption fee? Can I volunteer at HWH? Do you give riding lessons? Can we come and ride with you? Can we rent the arena for our group/show/club/event? Can we ride/walk on the trails? HWH began by sourcing horses from auctions known to sell to slaughter or feedlots. Some of the horses were seized due to neglect, cruelty, or other charges against their owners. In recent years, HWH has begun partnering with other rescues to offer foster training for horses in need. Many rescues lack the facilities and staff needed to give individual horses the lengthy retraining they may require, and that is where HWH comes in. Through collaboration between rescues we can offer more horses the second chance they so deserve. 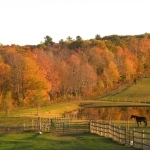 HWH does not accept owner surrendered horses, except in cases of extreme and demonstrated need. If you feel you are in this situation and your horse is in danger, please contact HWH for a referral to other programs that may be able to help. A horse in a dangerous situation requires a special set of circumstances to be removed from the danger. HWH advises anyone who believes they know of a horse in danger to contact a local veterinarian, Animal Control Officer, or the police to file a report. 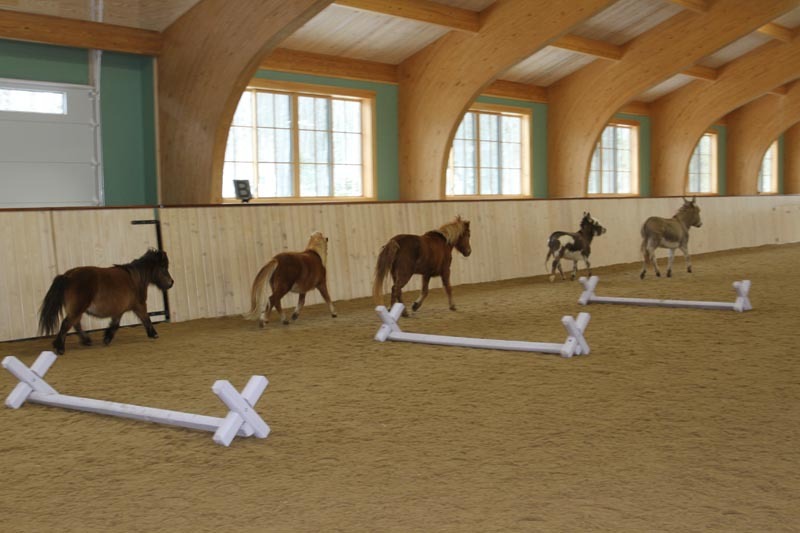 HWH is a training facility that specializes in rehabilitating rescued horses. Because of the number of horses in daily training, HWH cannot accommodate regular visiting hours or public tours. HWH holds public events during the year, so please watch our Facebook page or blog for more information on these seminars and clinics. HWH is privately funded, and does not solicit donations. Any donations that are received are deposited into a special account used solely for the rescue and transportation of slaughter-bound equines. HWH places an adoption fee on all adoptive horses in order to create a sense of value in potential adopters. The money collected on any adopted horses is put into a specific account set aside for the rescue and transportation of slaughter-bound equines. 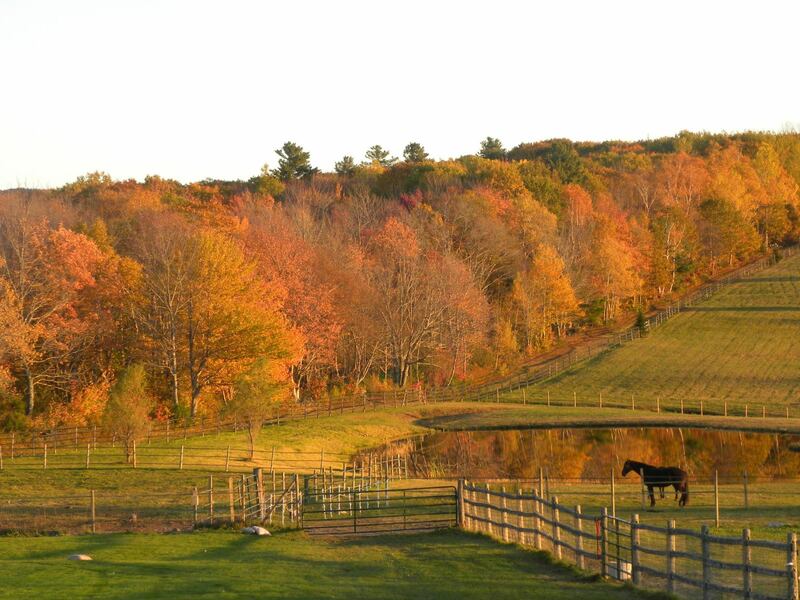 HWH is a private farm, and does not offer boarding to the public. Because HWH specializes in retraining horses that have possibly encountered physically or mentally abusive situations, all employees are required to have a particular set of horse-handling skills. The employees at HWH are more important to the horses' success than any other part of the program, and for that reason HWH feels its imperative to be well-staffed at all times. Unfortunately, because of the nature of volunteering, it does not offer the reliability the horses at HWH require. At this time, HWH does not accept volunteers. HWH employs several professional horse trainers, but their time is dedicated exclusively to retraining and rehabilitating rescue horses. We do not offer riding lessons to the public. If you have been approved to adopt one of our horses, our trainers are happy to spend time with you prior to the horse leaving the farm to help guide you toward a better working relationship with your new horse. The arena is not available for public use, or to rent for events. 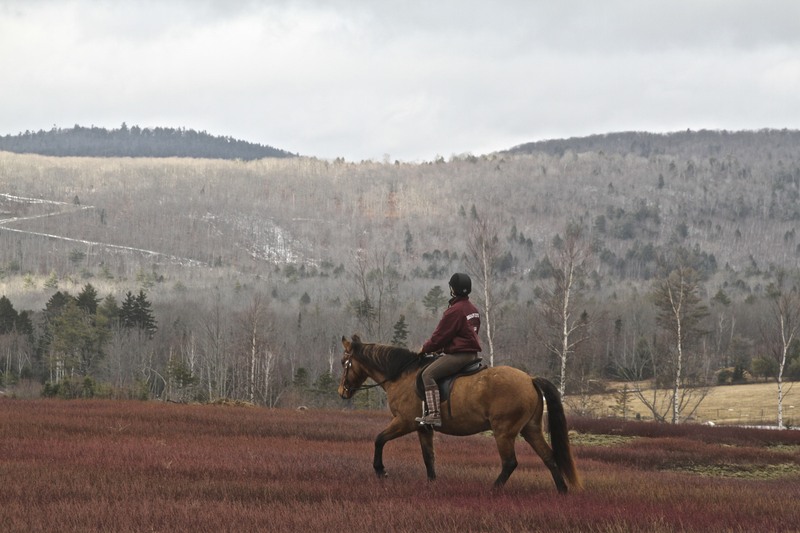 Exposing our horses to the natural world is an integral part of our training. 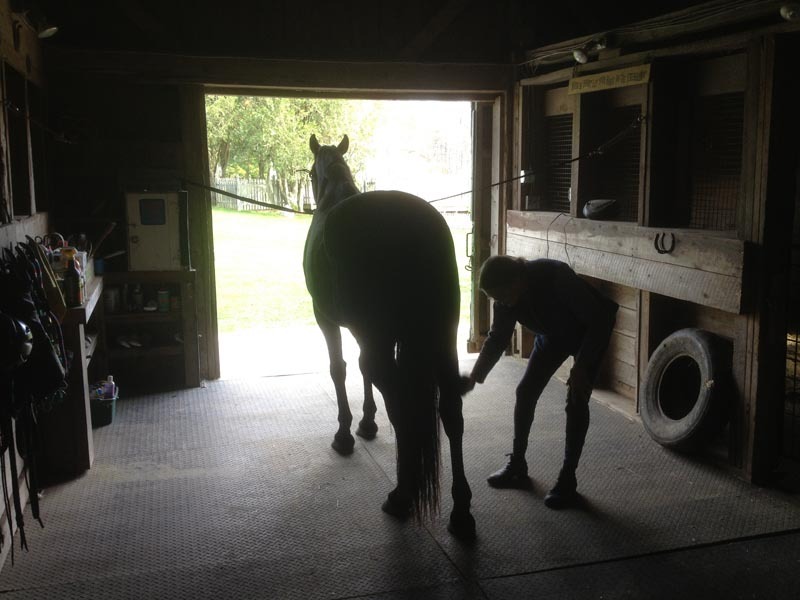 In fair weather, we outride daily, and use that time to train horses in a less controlled environment than the arena. Because our horses come from a wide variety of background and experiences, they may be green, spooky, or inexperienced. 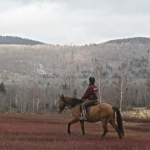 For the safety of both our horses and trainers, HWH does not open any trails or land to the public.